Colonnade offers the industry focus and deep relationships necessary to deliver world-class private equity and debt solutions. Our financial services and business services knowledge enables us to introduce the optimal investor set to our clients, including: mezzanine funds, private equity groups, venture funds, strategic investors, pension funds, hedge funds, and family offices. 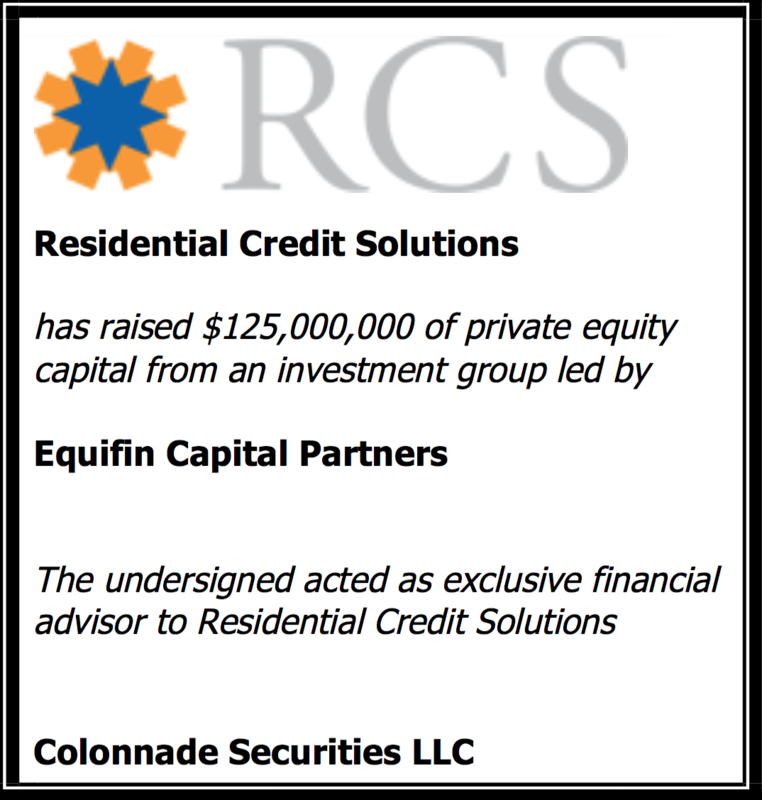 Colonnade has robust experience placing equity and debt capital from $10 million to $125 million.